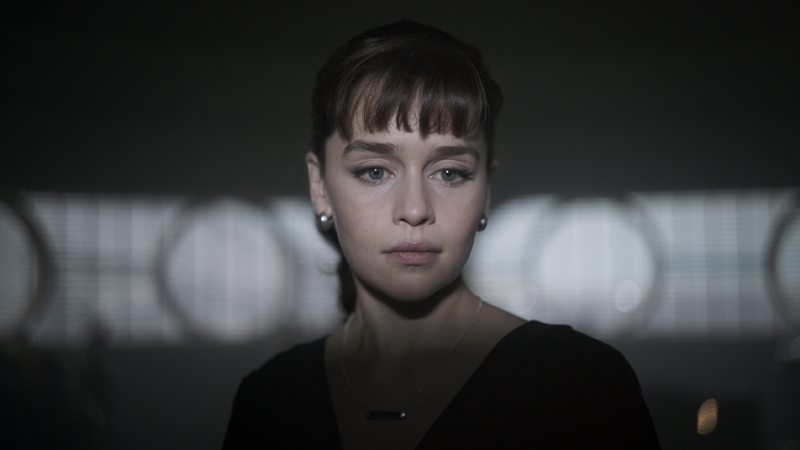 Qi’ra (Emilia Clarke) in Solo: A Star Wars Story. Solo: A Star Wars Story offers a shadier look into the period between Revenge of the Sith and A New Hope, removed from stories of the Rebellion vs. the Empire, and Jedi vs. Sith... mostly. But if you’ve only kept up with the Star Wars movies, and not the entirety of the multimedia behemoth that the franchise has become, one of Solo’s greatest surprises is likely also its most baffling. If you were confused, then here’s what you need to know. 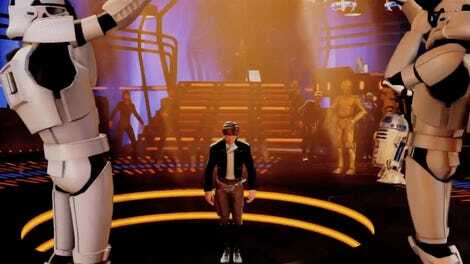 Darth Maul, before he gets cut in two during The Phantom Menace. Darth Maul himself. Yes, if you’ve only kept up with the movies, Maul was last seen getting lopped in half by a young Obi-Wan Kenobi during the climax of The Phantom Menace, seemingly plummeting to his death on Naboo. But Maul survived that not-so-fatal blow, and has actually been around for quite a while again in Star Wars canon, even before Disney purchased Lucasfilm. In fact, to know more about how Maul got from The Phantom Menace to Solo (and from half a Zabrak to a whole person again, more or less), we need to head into the world of Star Wars animation. Ventress and Opress make for an uneasy alliance in Star Wars: Clone Wars. Maul’s re-emergence into Star Wars canon begins in the Clone Wars TV series’ fourth season, which introduced Maul’s brother, the exquisitely named Savage Opress. Savage and Maul (and their other brother, who I kid you not, is named Feral) grew up on the planet Dathomir, home to the fabled, witchy Force users known as the Nightsisters. While Maul was plucked from the world by Darth Sidious to become his apprentice, Savage was left behind—until the Clone Wars, when the dark assassin Asaaj Ventress (a former Nightsister herself) headed there after being betrayed by Count Dooku. Ventress chose Savage as her apprentice in a quest for revenge against Dooku, but after even more betrayals—lots of betrayal among Dark Side users, as you’d expect—Savage struck out on his own, operating on information given to him by the leader of the Nightsisters, Mother Talzin, that Maul had survived his battle on Naboo and was living on the junkyard world of Lotho Minor. A very spider-y, crazed Maul living on the world of Lotho Minor. That indeed proved to be the case—surviving his duel with Obi-Wan by feasting on the Dark Side energies of his own rage (at being chopped in half! ), Maul managed to save his upper body from destruction and drag himself to a trash container, which was then dumped on Lotho Minor. In the years between his “death” on Naboo and Savage finding him—during which he cobbled himself a set of spider-y mechanical lower limbs—Maul’s mind was fractured, not just by his defeat but by Sidious’ abandonment of him. All that was left was a singular, all-encompassing thirst for vengeance against the Jedi and Obi-Wan, which Savage and Talzin were all too willing to stoke. After bringing him back to Dathomir and using Nightsister magic to restore his mind (and replace Maul’s spidery-y legs with more humanoid ones), Savage found himself apprenticed to Maul in a quest to destroy Obi-Wan, one that eventually culminated in a duel between Maul, his hated enemy, and the Jedi Knight Adi Gallia. Gallia fell in battle, but Obi-Wan turned the tide on the Zabrak brothers, leading to their retreat. Maul immediately hatched more plans to get at Kenobi. Maul executes Vizla and takes rulership on Mandalore. Maul and Savage went big for their next grab at power, allying themselves with the Mandalorian Death Watch group’s Pre Vizla in their bid to overthrow the peaceful diplomatic rule of Mandalore’s current ruler, Satine Kryze (who was also once a potential paramour for Obi-Wan, before he had to distance his attachment to her). Using an army of Black Sun gangsters to bolster the Death Watch’s forces, the trio formed the Shadow Collective, and staged a coup attempt on Mandalore—but Vizla betrayed Maul (gasp! ), trying to take rule of the planet for himself, leading to a duel between the two that culminated with Maul taking Vizla’s weapon, the legendary Mandalorian Darksaber, and beheading the Death Watch leader, taking his place as the current ruler of Mandalore. Using Satine as a hostage to draw Obi-Wan out alone, Maul enacted a fraction of his vengeance against the Jedi by killing Satine in front of him—but his victory over Obi-Wan was short-lived. The Death Watch forces that refused to pledge loyalty to him after Vizla’s death freed Obi-Wan from prison, but worse, Maul’s re-emergence on such a major stage attracted the attention of a far bigger threat: his former master, Darth Sidious. Sidious came to Mandalore to ensure that the Sith’s rule of two—currently taking the form of Sidious and Dooku—stayed true, dueling both Maul and Savage and ultimately killing the latter. Maul was kept alive by Sidious, however, who planned to use him to draw out Talzin, so he could eliminate the last of any meddlesome threats standing in the way of his imminent ascendance to rule over the entire galaxy. Maul and Mother Talzin—in Dooku’s body—make their last stand against Sidious and Grievous in Darth Maul: Son of Dathomir. Although Clone Wars came to an end before Sidious’ plans for Maul could be shown on screen, the gaps were filled in by both the Darth Maul: Son of Dathomir comic (one of the last Star Wars comics published by Dark Horse before Disney’s purchase of Lucasfilm lead to the rights transferring over to Marvel, and adapted from a scrapped Clone Wars storyline) and the Ahsoka novel. The former sees Sidious successfully eradicate Talzin and the Nightsisters, leading to Maul fleeing once again back to his stronghold on Mandalore—only for the latter to see Ahsoka Tano joining Republic forces in the final days of the Clone Wars to help liberate the planet from Maul and his Shadow Collective, although Maul escaped. It is after these two stories that Maul’s Solo appearance lies. Solo is largely set in the earlier half of the 20-year gap between Revenge of the Sith and A New Hope, making Maul’s move back into the world of organized crime in the Crimson Dawn (itself based on Dathomir, according to his call with Qi’ra in the movie, so Maul is back on his homeworld) an unsurprising leap, given his history of working with gangsters and criminals during the formation of the Shadow Collective. Although we don’t know for sure, perhaps the Dawn is made up of what was left of Maul’s loyal forces from the Collective, which would explain why Maul is its overarching leader. Now that Maul has returned to the cinematic portion of the Star Wars universe, it’s likely that these gaps will be filled in through comics and books, giving us the exact details of how the Dawn and Maul rose to prominence in the galactic underworld. But Maul’s story doesn’t end with Solo. However, we’ve already seen its end, which happens years after the event of the movie, in the recently-concluded Star Wars Rebels TV series. Maul encounters the young Jedi Ezra Bridger on Malachor. Maul returned to TV screens during the climax of Rebels’ second season, set just a handful of years before the events of A New Hope. Fledgling Jedi-in-training Ezra Bridger encountered him on the planet Malachor, as the former Sith searched for Dark Side artifacts he could use to bring down Sidious and his Empire. It was suggested he’d been there for some time, implying that either Maul had left the Crimson Dawn in the intervening years or that the crime syndicate had become severely diminished. Maul being Maul, he betrayed Ezra and fled Malachor, only to capture Ezra and his Rebel friends several months later in an attempt to gain access to an old Jedi Holocron saved by Ezra’s master, Kanan. Combining the Holocron with a Sith one he recovered on Malachor, Maul is granted a vision that confirms that his hated foe Obi-Wan is alive and hiding on a planet with twin suns, leading to a final conflict that, for Maul, had been decades in the making. After locating Obi-Wan on Tatooine, however, Maul’s quest for vengeance came to an unexpected end... for him. After Maul had figured out his exile on the desert world was not to avoid the eye of the Empire, but to protect someone capable of bringing it down, the aged Jedi cut down Maul for good. Although unsuccessful in his own quest to kill Obi-Wan, Maul’s dying words were to ask if Kenobi’s charge was the fated chosen one. Kenobi replied in the affirmative and Maul died knowing at least someone would get the vengeance against Darth Sidious that he had so desperately craved. Although we’ve seen a great deal, Solo proves there is still so much about the life and times of Maul—previously nothing more than a cool-looking henchman who appeared in a single movie—left to explore. A lot of the gaps have already been filled in thanks to Clone Wars and Rebels, but his surprising return in the latest Star Wars film means there’s still a lot more we have to learn about the former Dark Lord of the Sith.